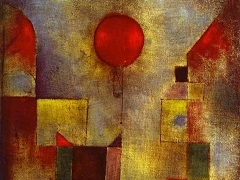 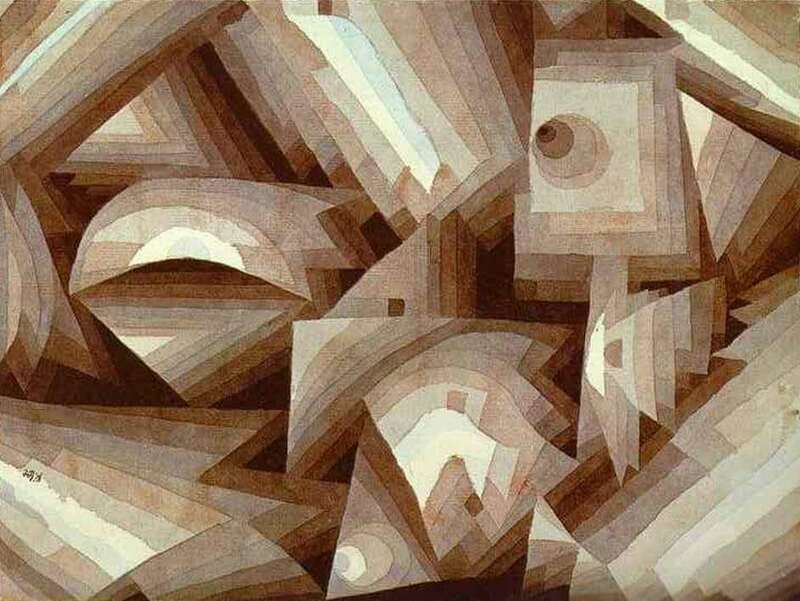 Paul Klee was also a trained musician and shared with many artists of the early twentieth century the idea that music was the key to producing a new, abstract form of art. 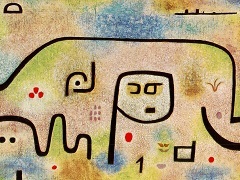 He was interested in the temporal character of music and its possible translation into art. 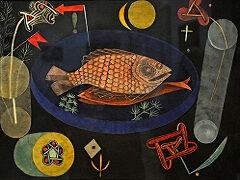 Works like Sunset reflect the principles of rhythm: linear structures, forms, and tonal values are orchestrated into a measured, vibrating image. 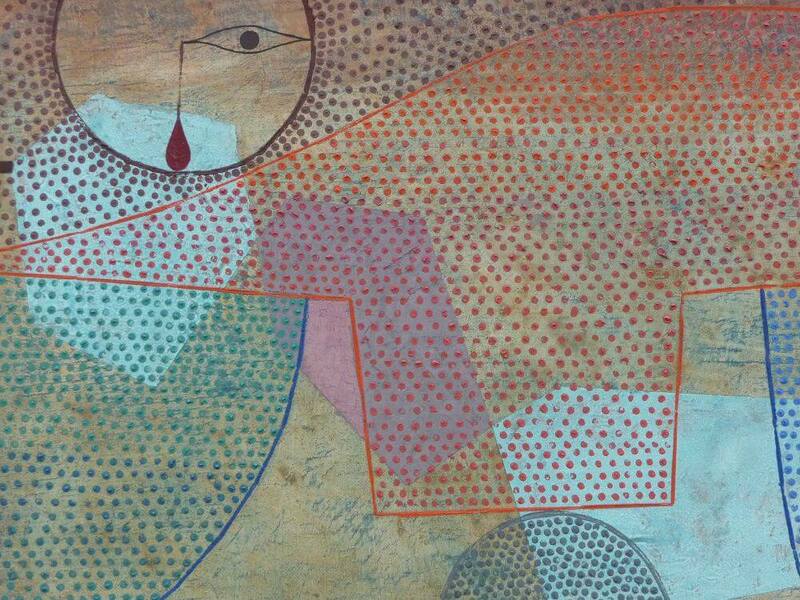 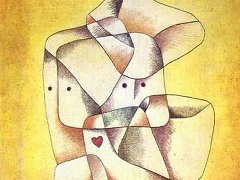 To produce such a harmonious effect, Klee layered an intricate pattern of dots over a neutral background. 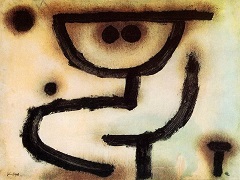 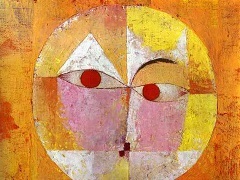 Abstract, geometric, and overlapping shapes balance with recognizable forms, such as the schematic face in the upper left and the red sun and arrow in the lower right. 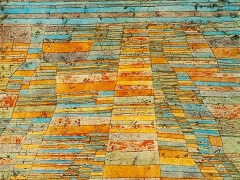 The resulting composition - balancing stillness and movement, shallowness and depth - relates to Klee's larger project of looking to music to produce an art that "does not reproduce the visible, but makes visible."